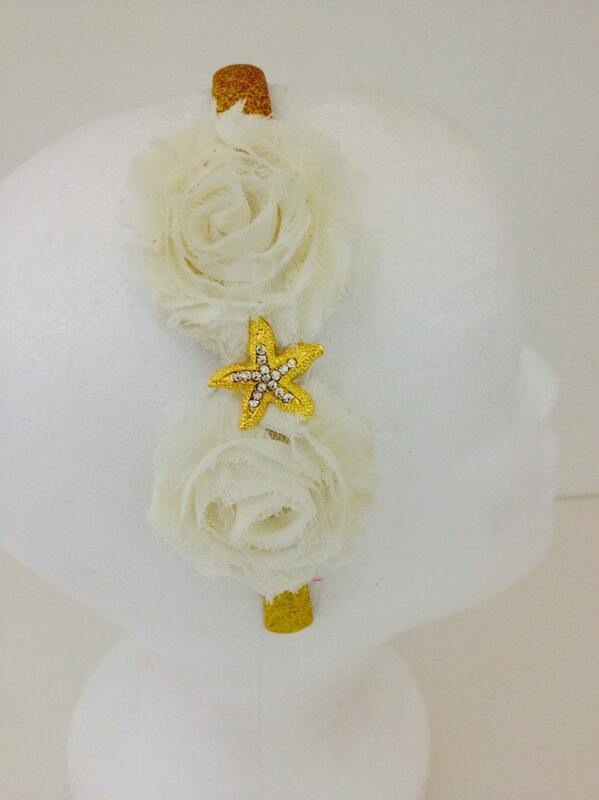 Gold or Silver Starfish Rhinestone Headband. 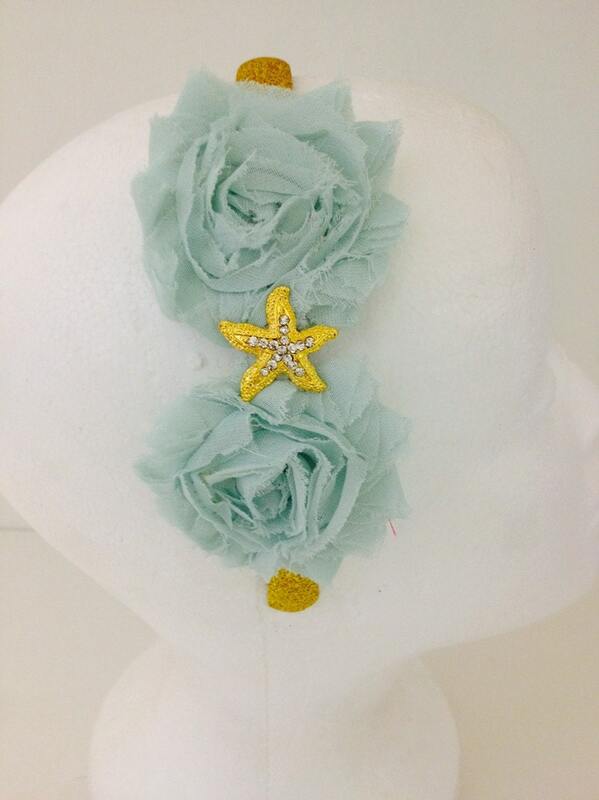 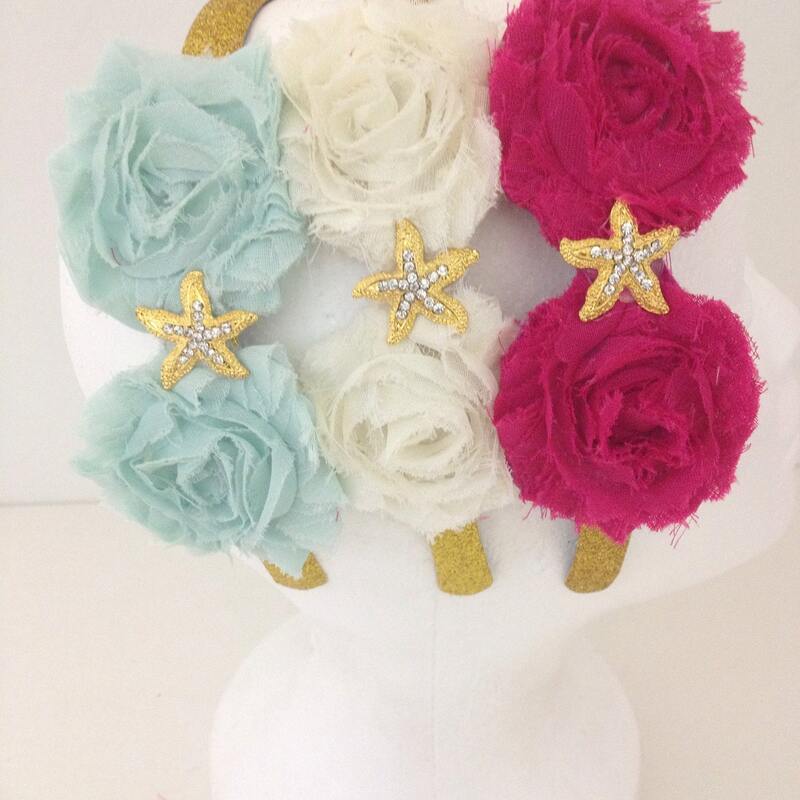 Available in Ivory, Aqua Blue, Hot Pink Shabby Flower Glitter Headband. 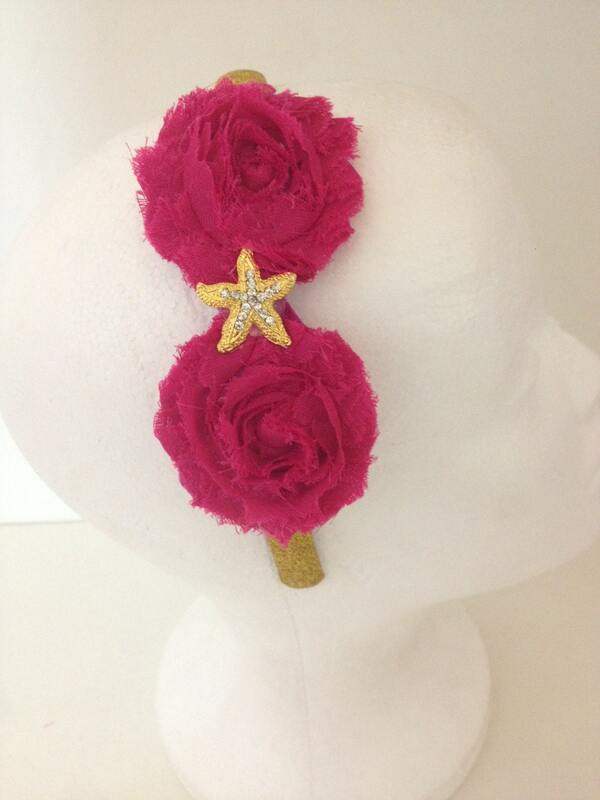 Fancy Girl Boutique customizes and Designs all styles.